A premium certified organic product for gentle, natural support of a healthy urinary tract. This is a pure, freeze-dried, whole-fruit powder and not a diluted extract! 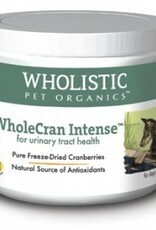 All-natural, Wholistic WholeCran Intense™ comes from whole, dried cranberries grown in certified organic cranberry bogs! The natural properties of cranberries help to support a healthy urinary tract. Loaded with antioxidants, flavanoids, and proanthocynidins, cranberries can also help support healthy teeth and gums. And that means bad breath disappears! No fillers, no sugar, no artificial ingredients or additives of any kind! 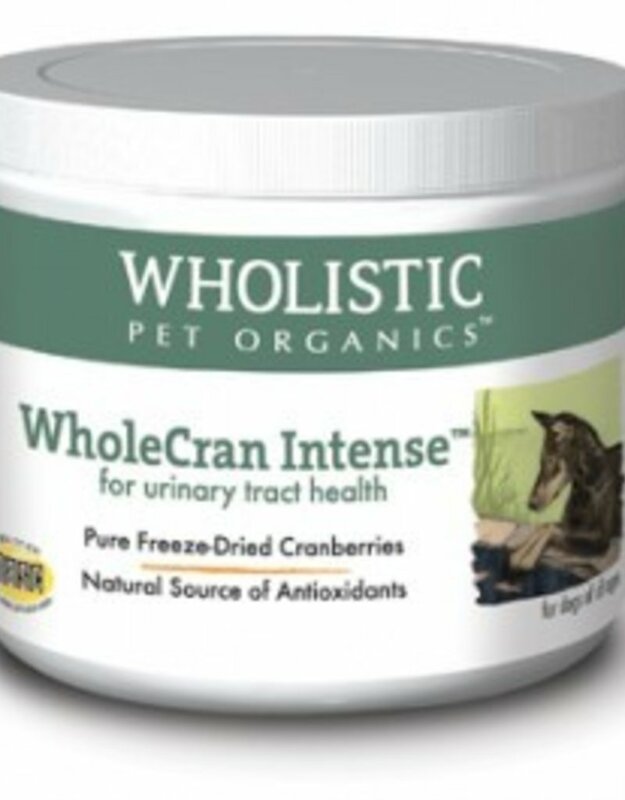 Wholecran Intense™ is so good naturally that we just wouldn’t add anything else to it! For complete product information, ingredients and directions for us, visit The Wholistic Pet website.